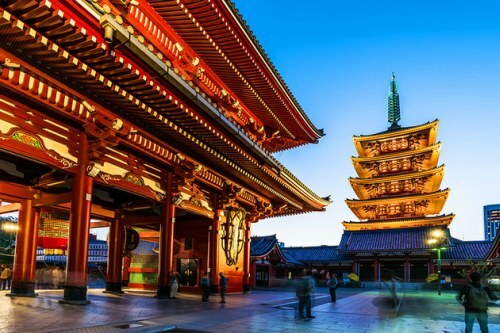 Flight Centre is offering a promotion for $100 CAD off of any roundtrip flight from Edmonton to anywhere in Asia, when using one of the following airlines. 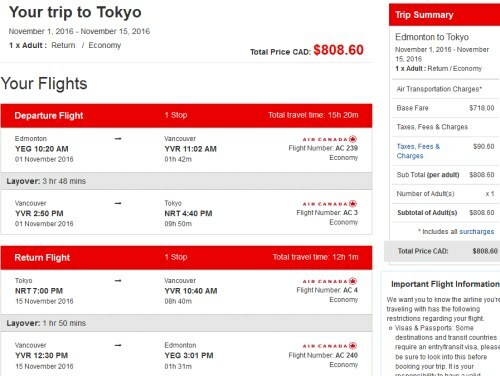 These flights are the fastest way of getting from Edmonton to Japan, and they are also currently the cheapest. availability: September 2016 to March 2017. 2. Click on the departure date box to open up the calendar view and try other dates. Look for the date combinations that are currently showing as $809 CAD roundtrip including taxes. The price should show up as $808 CAD roundtrip on Flight Centre. NOTE: Sometimes you may need to scroll down a bit in the Flight Centre results to see the fastest or best flights. The one at the top isn't always the best.